Session #3 is only a two weeks away! Comprehensive & Effective Training Program in the World! We are only 2 weeks away from our 3rd CO weekend. In some ways this weekend is the most important to truly create a willing partner and a genuine relationship with your horse. Great work in the saddle always begins on the ground and with your horse. Yyou will learn some of the most important and effective tools in the ROTH toolbox. You don’t want to miss these 3 powerful days. They may change your entire view of training and even your horse. • Constantly figuring out new ways to get your horse to trailer load? • Like to figure out why your horse keeps acting up and how to stop it? • Do you know the right way to use food to change behavior? These are just some of the solutions you will find on our 3rd of 4 weekends. And best of all you will discover what makes ROTH truly unique and very effective. Partnership, Trust and Results depend on 1 crucial element. Whether your goal is pleasure riding, a trust-base relationship, or a competitive edge, without this key you will never achieve the end result you are seeking. What is this magical piece that brings it all together? Sure there are lots of ways you can trick your horse, force your horse or use the horse’s nature to gain the upper hand over him. But if you really want long lasting results, a genuine relationship and a willing equine partner in and out of the saddle you must know how to effectively communicate with and understand your horse. 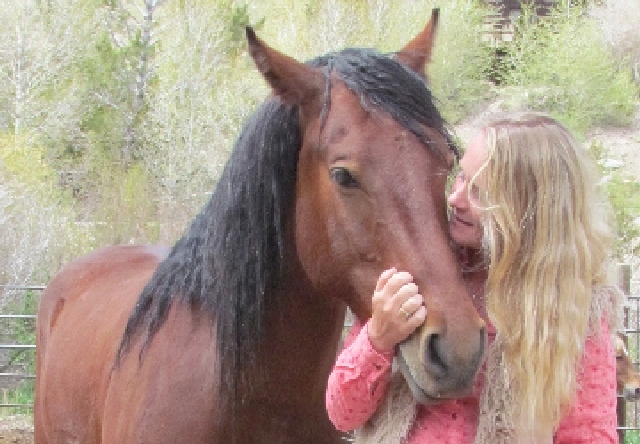 Anna will introduce you to effective communication and how to work with your horse in a true trust-based fashion based on mutual respect instead of fear or dominance. Session 3 begins with Simple Solutions. Day 1, we get right to it. Bring your hardest problems, your most frustrating behavioral problems and your most common issues and Anna will show you how to solve them all! Day 2 we pick up with one of the must effective tools you will ever learn. Food as a tool for behavior modification. Using food to train your horse is one of the most controversial topics in the training world. Anna will show you how to use food the right way, the do’s and don’ts and when food is appropriate and when it is not. Day 3 we put it all together to solve one of the most difficult problems people face today… trailer loading. Are you struggling with getting your horse to load? Does he refuse to load at the most inconvenient times? Do you wish you has a calm, relaxed horse, willing to load up on his own? Find out how you can create a consistent, stress-free, self-loading horse. Remember, each 3-day event is very hand-on, stands on it’s own, and all equipment is provided. Bring your horse or learn with one of the horses from Zuma’s. Let Anna and her staff show you a new way of horsemanship and deepen your relationship with not only your horse, but with all horses. We only have a few spots available so don’t delay, Sign up now! Or join us as an auditor for only $175 for the entire weekend. VISIT REACHOUTTOHORSES.COM AND REGISTER NOW! Anna’s Advanced Animal Communication Classes. This is your last chance to explore art of talking to your animal companion this year in Colorado! The Doors Are Open but we are filling up fast! An Extraordinary Weekend with an Amazing FREE OFFER! 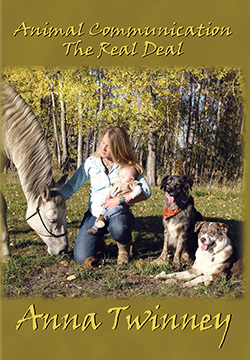 Anna is excited to bring her highly anticipated animal communication workshop to Happy Dog Ranch in Littleton, CO.
During these 2 days you will explore 2 of the most important uses of animal communication and the reasons over 90% of her clients reach out to her. Saturday – Animals in Transition: Find out how you can help your Animal Companion as they make their journey to the other side. And you will discover one of the greatest gifts animal communication can give you – Speaking with them after they’ve crossed over. Sunday – Understanding Behavioral Patterns: Of all the reasons for which people reach out to Anna, behavioral issues has to be at the top of the list. But solving behavioral issues is far more involved than just telling your companion to STOP IT! Learn how you can understand your companion’s behavior, uncover their needs and true intentions, and finally shape or even stop that frustrating behavior. If you are new to the art of animal communication, Anna will be hosting an Introductory evening on Friday night, September 20th. This is a great way to get your feet wet or get a great refresher before the weekend begins. And here’s the best part, everyone who signs up for the full weekend will have free admission to Friday night! But that’s STILL not all of it! If you register for the full weekend, you will also receive the new Animal Communication: The Real Deal, 9-CD set FREE! Friday night and the 9-CD Set are included at no additional charge when you register for the full weekend. That’s over $115 free! But I wouldn’t delay if I were you. Space is limited and this weekend will fill up fast. Previous postYou are invited to a very special event. . .